Michigan Scientific Wheel Load Transducers are used in typical environmental conditions as well as in laboratory conditions. 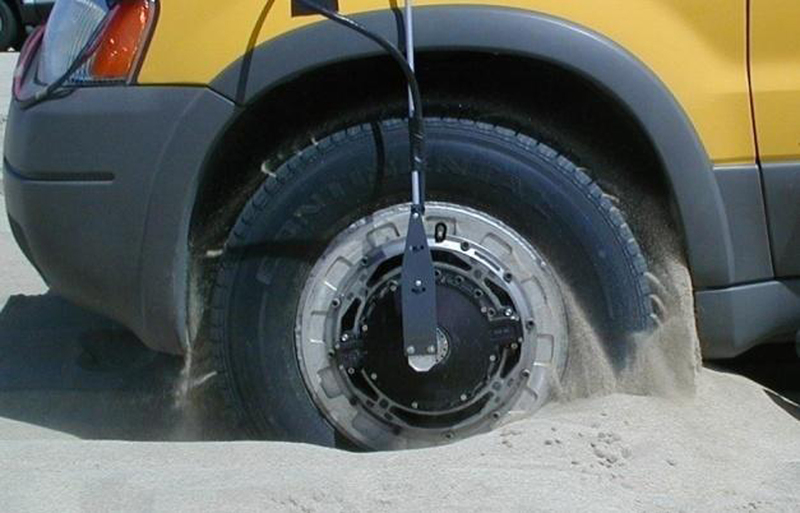 They are used to measure all loads on a vehicle wheel due to normal operating conditions. The transducers output force, moments, acceleration, speed, and wheel position signals to provide complete spindle load data. Applications for the transducers includes brake testing, harsh environment testing, pothole testing, lane change testing, and many other vehicle related tests. MSC manufactures a wide variety of sized transducers that are capable of measuring all the wheel forces and moments on passenger cars, light duty trucks, heavy duty trucks, vans, SUVs, class 8 trucks, heavy duty construction and farm equipment. These standard MSC Wheel Torque Transducers are ideal for measuring wheel torque on passenger cars, light duty vehicles, and medium duty trucks.